Atlantika is a script font inspired by traditional sign painting and speed brush lettering. It is highly suitable for t-shirt, signage, logo, branding, and packaging. With almost 300 glyphs in total and 122 alternate characters, you can play with Atlantika font to create your own custom lettering design. Just mix and match the alternative characters to create an attractive message. 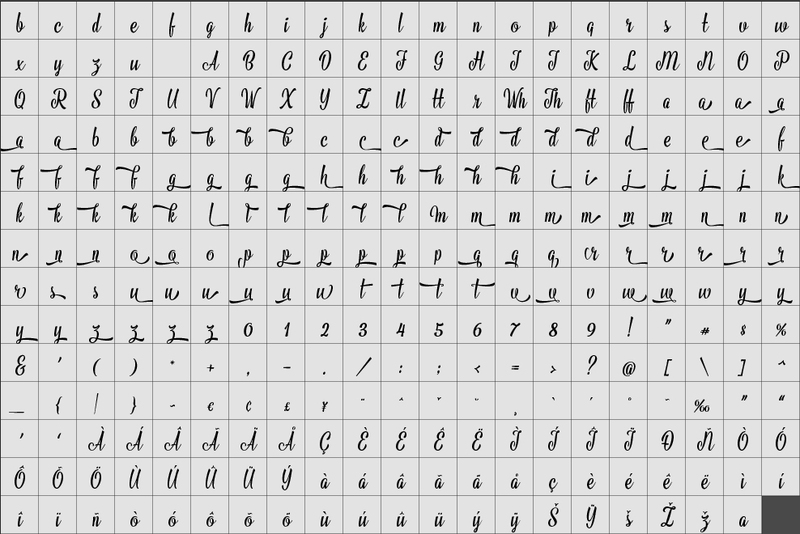 The alternative characters in Atlantika font were divided into several OpenType features such as Contextual Alternates, Stylistic Sets, and Ligature. The OpenType features can be accessed by using the OpenType savvy program such as Adobe Illustrator and Adobe InDesign. Watch how to access alternative characters in Illustrator.